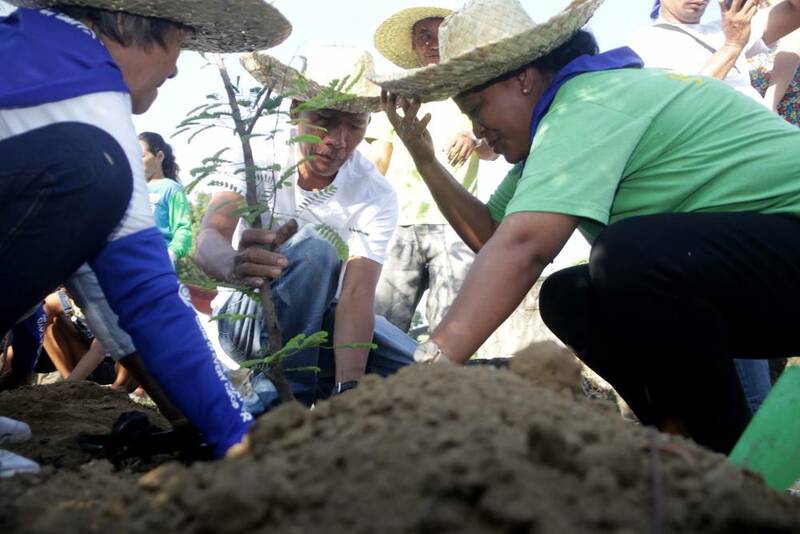 Senior citizens team up with Manila Water and QC for tree planting activity | Manila Water Company, Inc.
Senior citizens recently participated in a recent tree planting activity at Pugad Lawin Shrine in Quezon City with officials from Manila Water and the local government of Quezon City. Senior citizens of local government of Quezon City and their grandchildren teamed up with employees of East Zone water and used water concessionaire Manila Water as they planted trees at the Pugad Lawin Shrine in Quezon City. The tree planting activity with the theme “Pamanang Yaman” symbolizes the legacy of senior citizens of giving back to nature a cleaner and greener environment for the next generation. Present during the event are Frederika Rentoy and Quezon City Councilor Beth Delarmente who acknowledged Manila Water’s strong commitment to environmental protection. She also hopes to replicate the program in other parks in Quezon City.